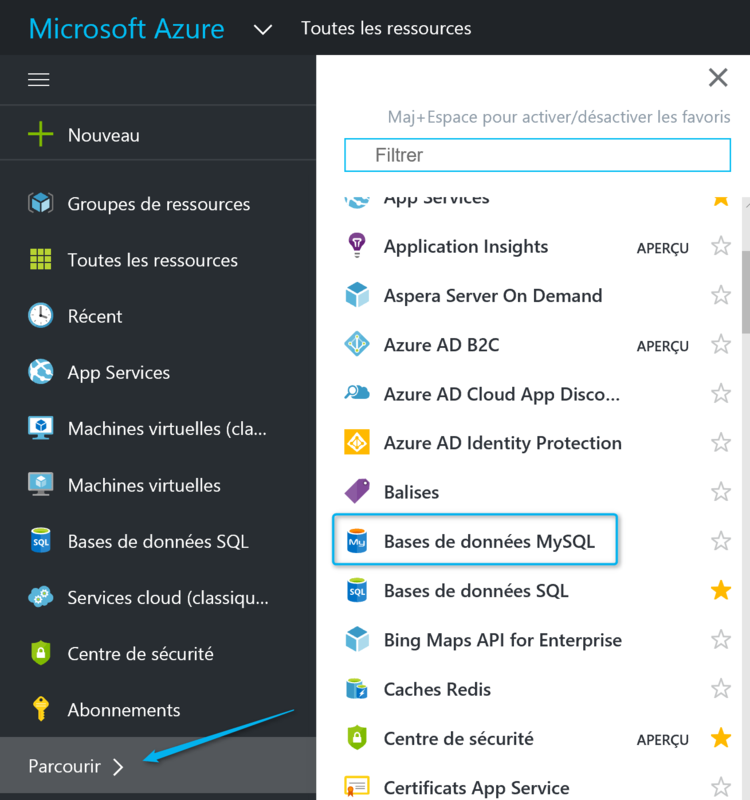 Multiple languages (python, php, .net..) can be used in Azure, let’s see here prepare a site using PHP. 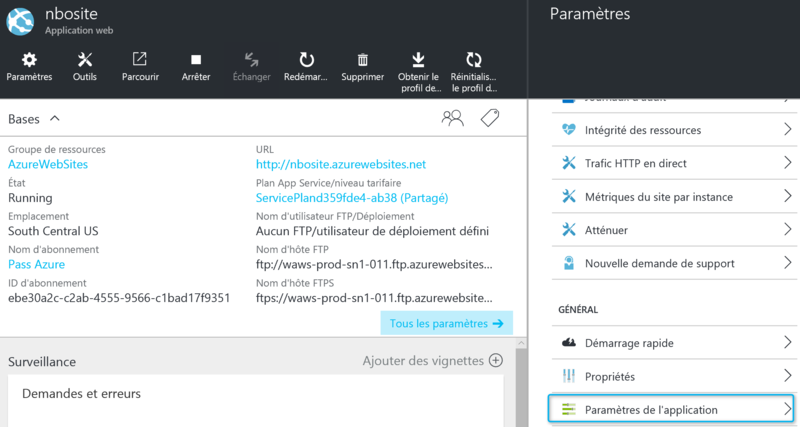 In the Azure portal, click New and then enter web. 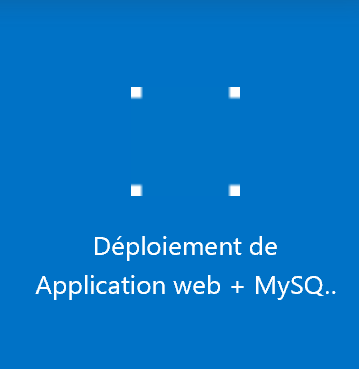 Click on Web + mobile and web Application + MySQL. Click the Create button and then enter the desired domain name. It will be suffixed with. 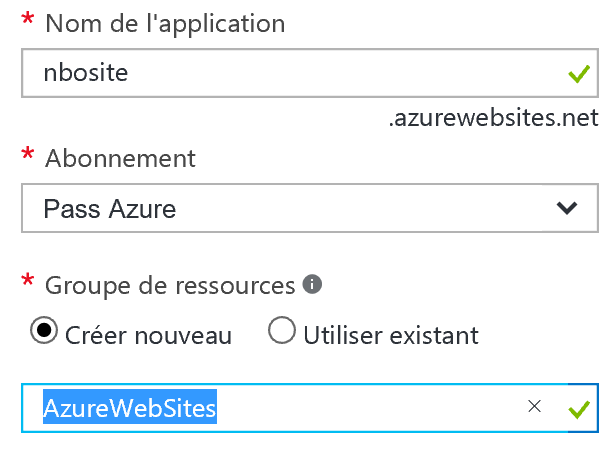 azurewebsites.net. It will be possible to use your domain name by modifying the dns. 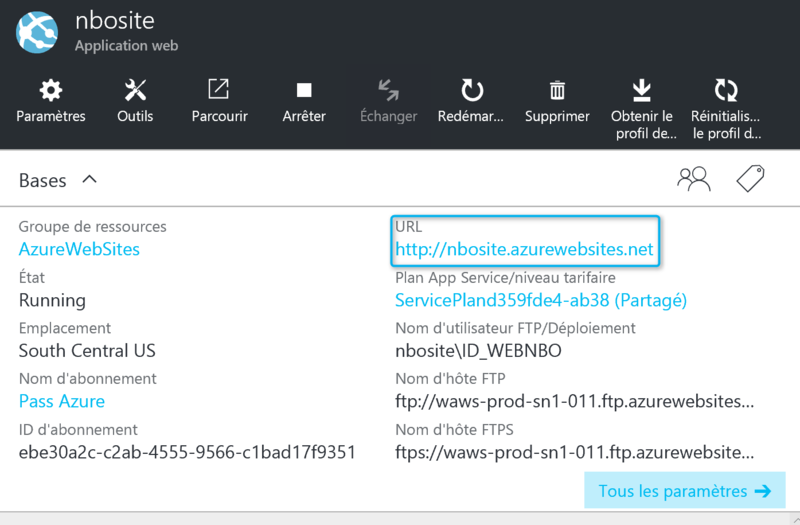 Change the value of the www record to point to the url Azure (domain.azurewebsites.net). 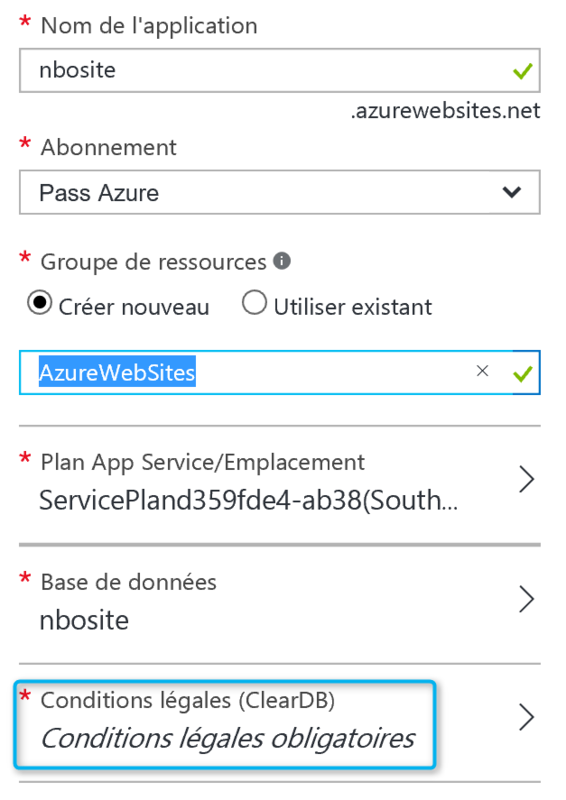 We will create a new group of resource named AzureWebSites. Now, it is necessary to configure the database. To do this enter the name you want as well as the type of database. Two types of database can be used (shared or dedicated). Finally select the location and the desired level of pricing. Before you can initiate the creation of the web app, it is necessary to proceed with the acceptance of the legal conditions. 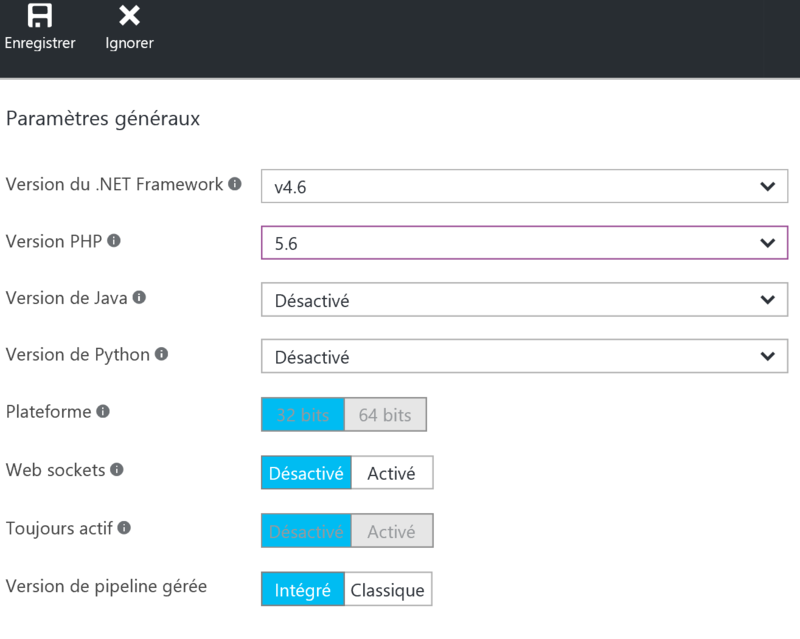 Once the parameters are validated, it is possible to initiate the creation of the webapp. 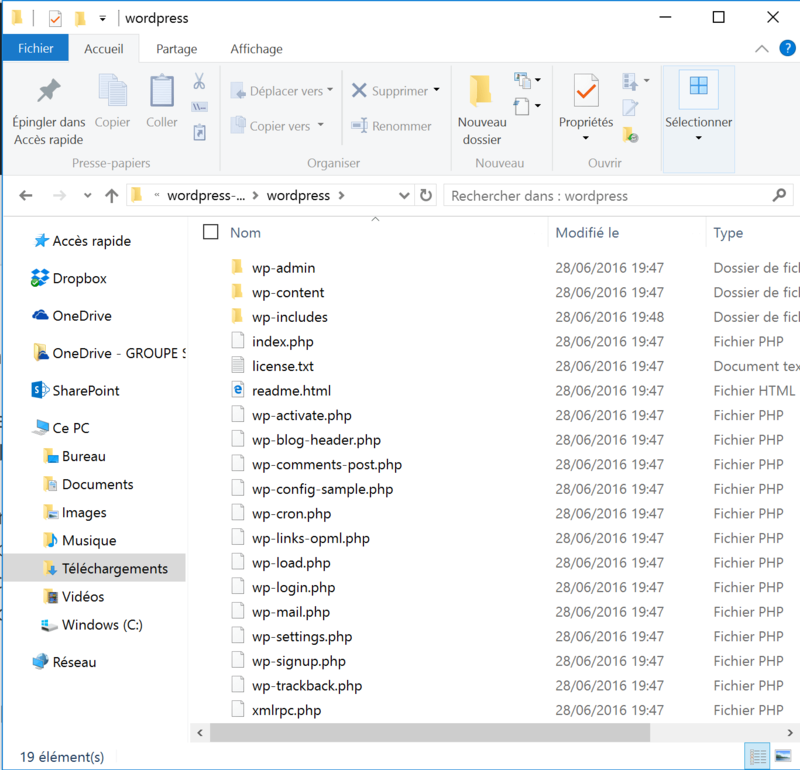 It is possible to configure the application to use a particular version of ASP.NET, php… Click on ‘All resources’ and on the web site. In General, click application settings. Make the setting as desired, and then click Save. 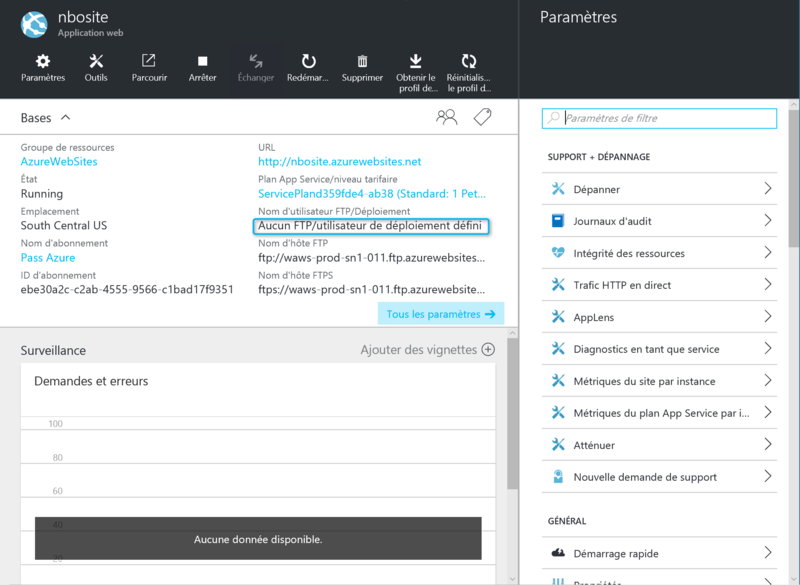 In the Publication category, click deployment credentials, and then type the information you want. 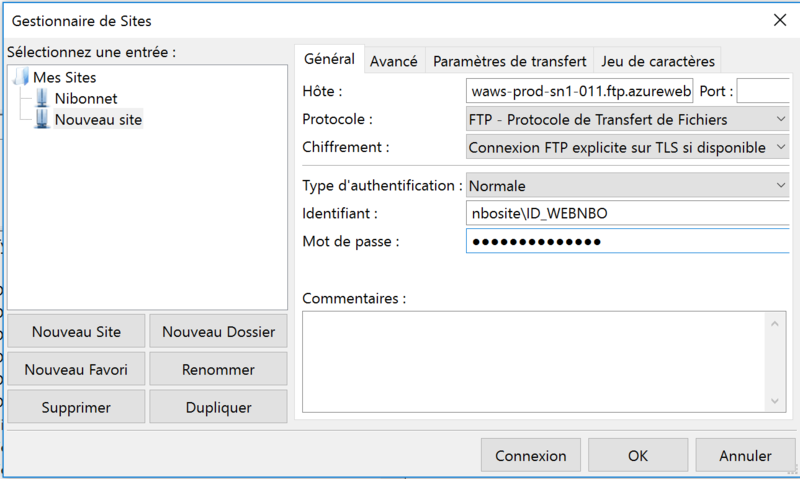 In the central panel, the name of the FTP and FTPs server appears. This information should be used to connect. 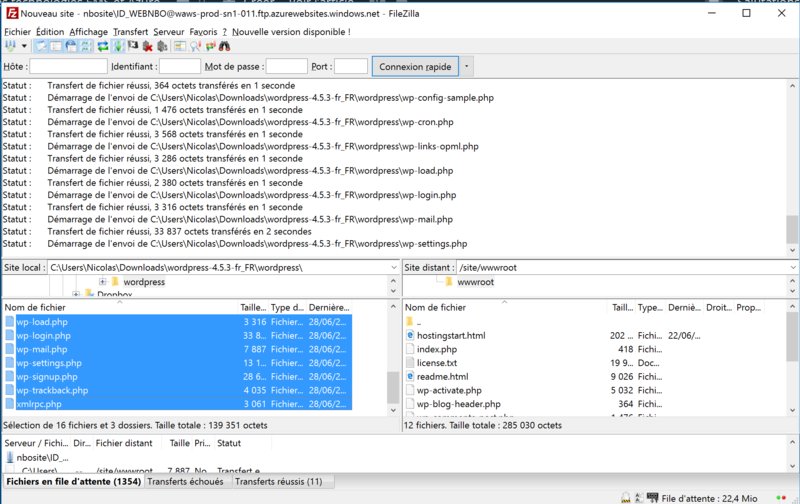 Before to connect in FTP, we will first download a WordPress engine. Click Browse and then click MySQL databases. 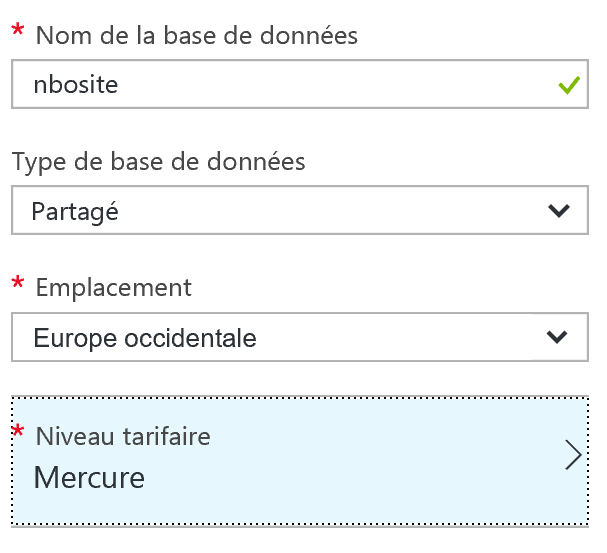 Select the desired base and then click settings to retrieve the information necessary for the connection. The icon manage the database to obtain the information necessary for the management of the database. 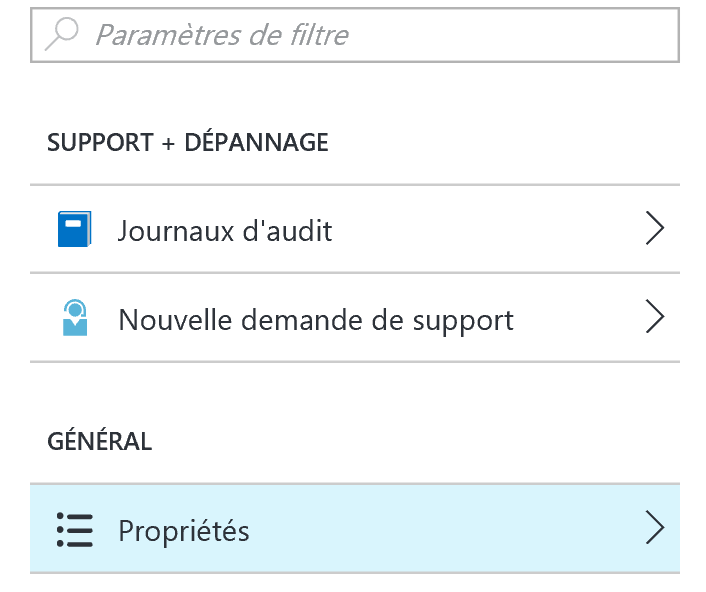 In General tab, click Properties. The window to obtain the information required for the connection. Click OK in the warning window that appears. The contents of the folder appears. 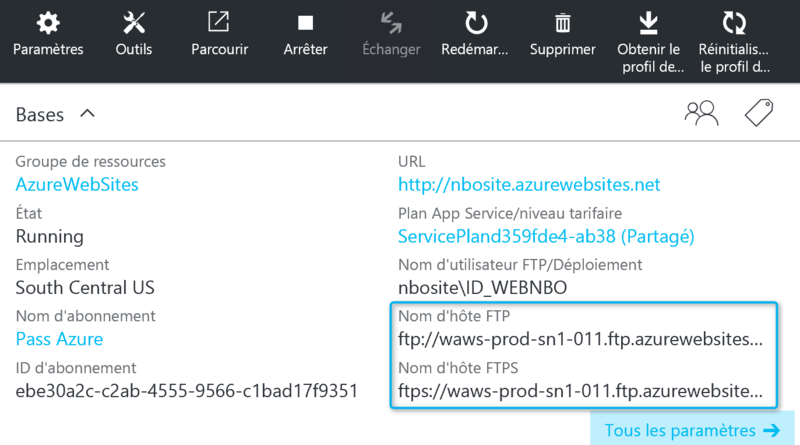 Upload the contents of the site on the server into Site/wwwroot. In my case the engine WordPress has been sent. 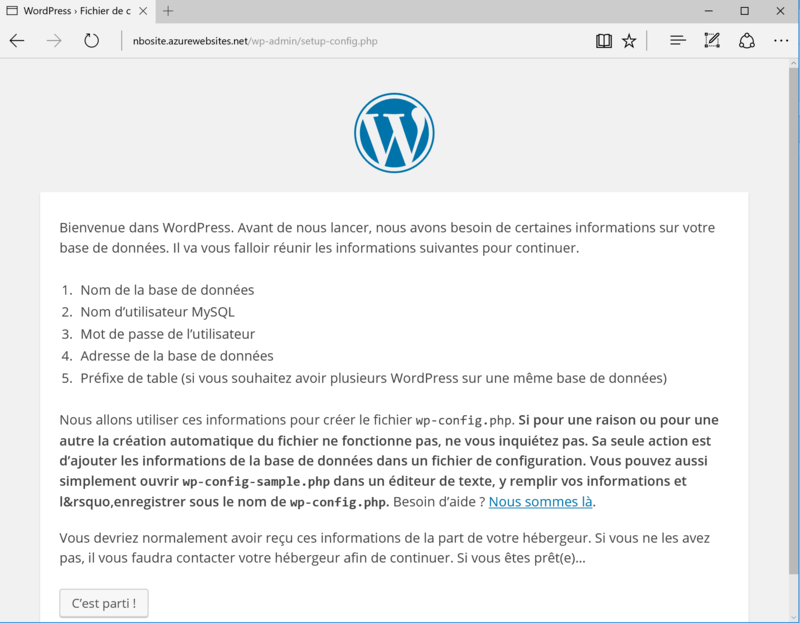 It is now possible to access the web site, to access the url provides. 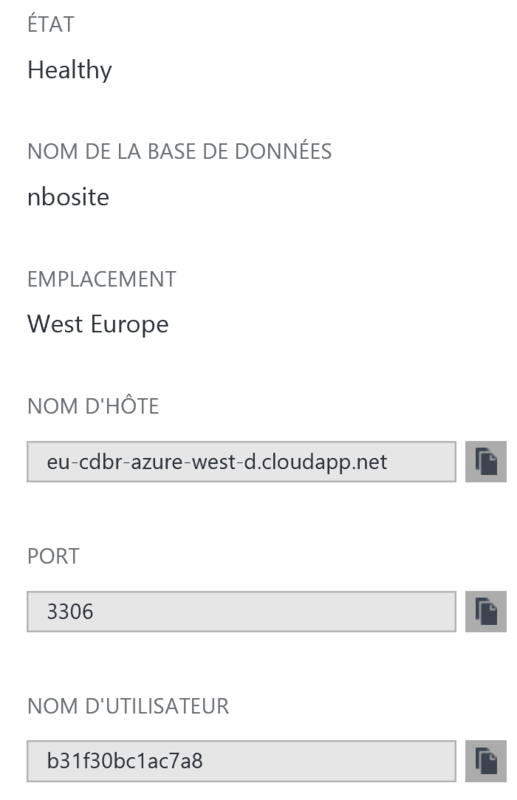 It is possible to use a different domain name by modifying the www CNAME in the DNS of your register. 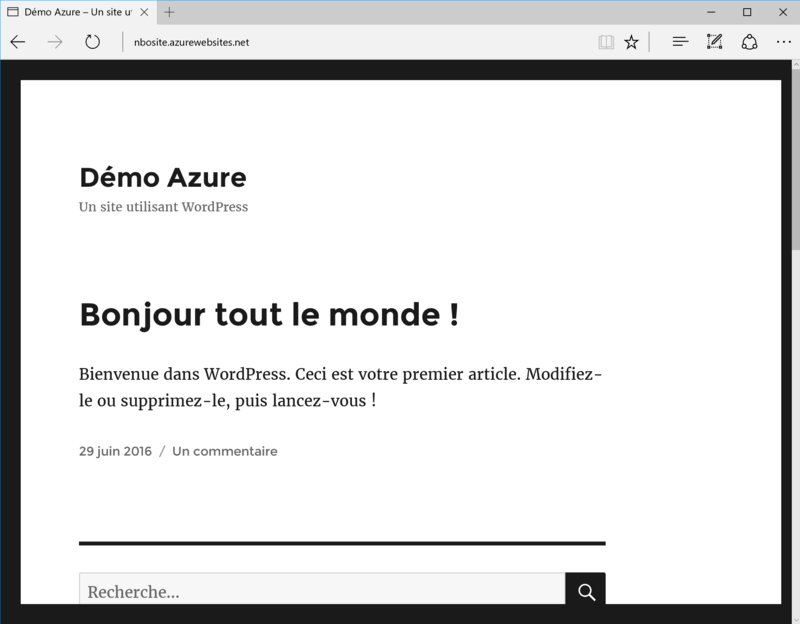 the WordPress site is now available.